Hiroshima University , in the Japanese cities of Higashihiroshima and Hiroshima, was established 1929 by the merger of a number of national educational institutions. Under the National School Establishment Law, Hiroshima University was established on May 31, 1949. After World War II, the school system in Japan was entirely reformed and each of the institutions of higher education under the pre-war system was reorganized. As a general rule, one national university was established in each prefecture, and Hiroshima University became a national university under the new system by combining the pre-war higher educational institutions in Hiroshima Prefecture. The new university combined eight component institutions: Hiroshima University of Literature and Science, Hiroshima School of Secondary Education, Hiroshima School of Education, Hiroshima Women’s School of Secondary Education, Hiroshima School of Education for Youth, Hiroshima Higher School, Hiroshima Higher Technical School, and Hiroshima Municipal Higher Technical School. In 1953, the Hiroshima Prefectural Medical College was added to the new Hiroshima University. Some of these institutions were already notable. Above all, Hiroshima School of Secondary Education, founded in 1902, had a distinguished place as one of the nation’s two centers for training middle school teachers. The Hiroshima University of Literature and Science was founded in 1929 as one of the national universities and, with the Hiroshima School of Secondary Education which was formerly affiliated to it, were highly notable. The present Hiroshima University, which was created from these two institutions as well as three other “old-system” training institutions for teachers, continues to hold an important position among the universities and colleges in Japan. Hiroshima Higher Technical School, which has many alumnae in the manufacturing industry, was founded in 1920 and was promoted to a Technical College (Senmon Gakko) in 1944. Hiroshima Higher School was founded in 1923 as one of the pre-war higher schools which prepared students for Imperial and other government-supported universities. Although these institutions suffered a great deal of damage due to the atomic bomb that was dropped on Hiroshima on August 6, 1945, they were reconstructed and combined to become the new Hiroshima University. Graduate schools were established in 1953. After completing the reconstruction, in order to seek wider campus, the relocation to local area(Higashihiroshima) was planned and decided by 1972. 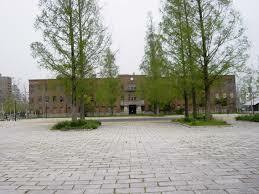 Hiroshima University relocated to Higashihiroshima from Hiroshima City between 1982 and 1995. In Hiroshima City, there are still some Campuses (School of Medicine, School of Dentistry, School of Pharmaceutical Sciences and Graduate School in these fields in Kasumi Campus and Law School and Center for Research on Regional Economic System in Higashi-Senda Campus).